Hot on the heels of rumors that Google is preparing to challenge Apple's iTunes service with a digital music store of its own, Amazon has announced that it's entering the market with a cloud-based music service of its own. "Managing a digital music collection is a bit of a mess," Amazon CEO and Founder Jeff Bezos said in an open letter to customers on the Amazon Website on Monday. "It's possible to buy music from your phone, but then it might get stuck there. It's possible to buy music from your work computer, but then you have to remember to transfer it to your home computer…What's more, if you're not regularly backing up your music collection, you can lose it with a disk drive crash." 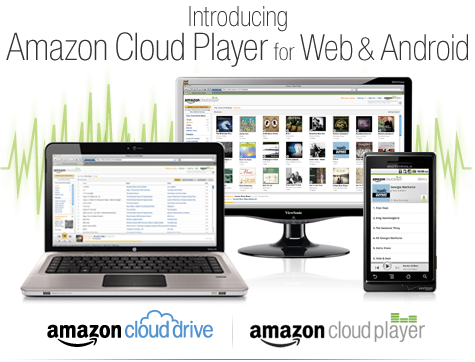 Amazon Cloud Drive is a "personal disk drive in the cloud," while Amazon Cloud Player is, well, a Web-based music player. That's right--Amazon Cloud Drive will be something like Google's rumored digital music locker, a cloud-based storage system for all of your tunes. This is big news for both Apple and Google--Apple, because iTunes has been the market leader for…well…ever (66 percent of digital music sales in December 2010 were from iTunes), and Google, because Google has reportedly been unsuccessful in trying to make a cloud music "locker" happen. The Cloud Drive is the big news: Not only can you upload and access your digital music collection from anywhere, but you can also upload "any other digital documents." Amazon is giving its customers an initial 5GB of free cloud storage--and purchases from the Amazon MP3 store are stored for free and do not count toward customers' storage quota.